Brooklyn-based indie troupe Callers are delivering their third album this fall, but the group look little different then when they delivered their last outing, 2010's fantastic Life of Love. 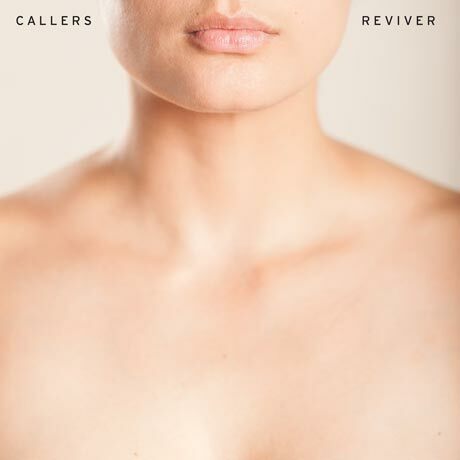 The new LP, titled Reviver, features an expanded lineup and is the act's first full-length for new label Partisan, who will release the record on October 9. As a press release explains, the inner workings of Callers have evolved since Life of Love. While founders Sara Lucas and Ryan Seaton still steer the project, drummer Don Godwin stepped away from the band shortly after recording sessions for Reviver wrapped. Despite the departure, the Callers' lineup ballooned once album producers Keith Souza and Seth Manchester (Battles, Fang Island, Psychic Paramount) signed up as full-time members. Pulling influence from R&B, Motown, jazz and indie, the album is described as "the most fully realized vision Callers has as artists." Lyrically, Lucas is said to have been influenced by the poetry of Gwendolyn Brooks, while musical highlights apparently include the "grandiose crescendos, idiosyncratic melodies" of album opener "Good Years" and the fierce rhythms of the title track and "Heroes." You can listen to album cut "Howard 2 Hands," a track Seaton described as "a song about dancing in all the right and wrong places," below.